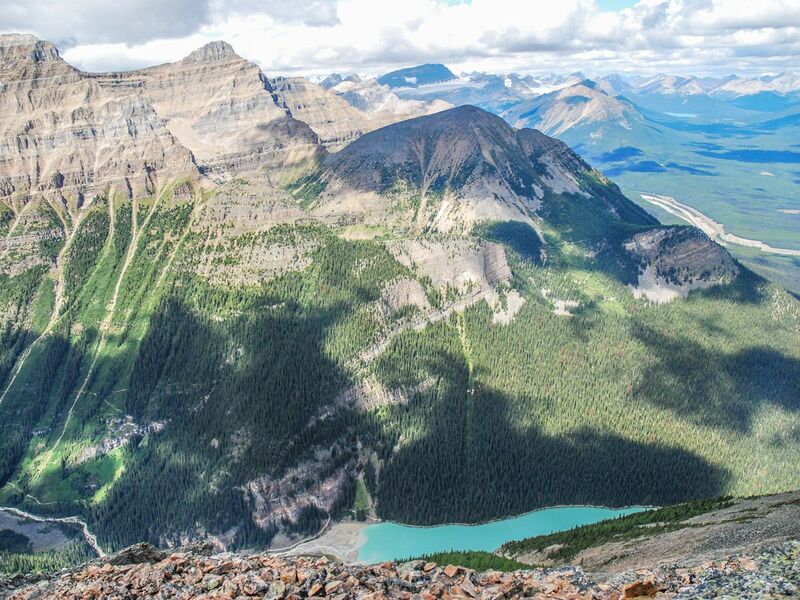 Get the complete Lake Louise experience from the summit of Mount Fairview. 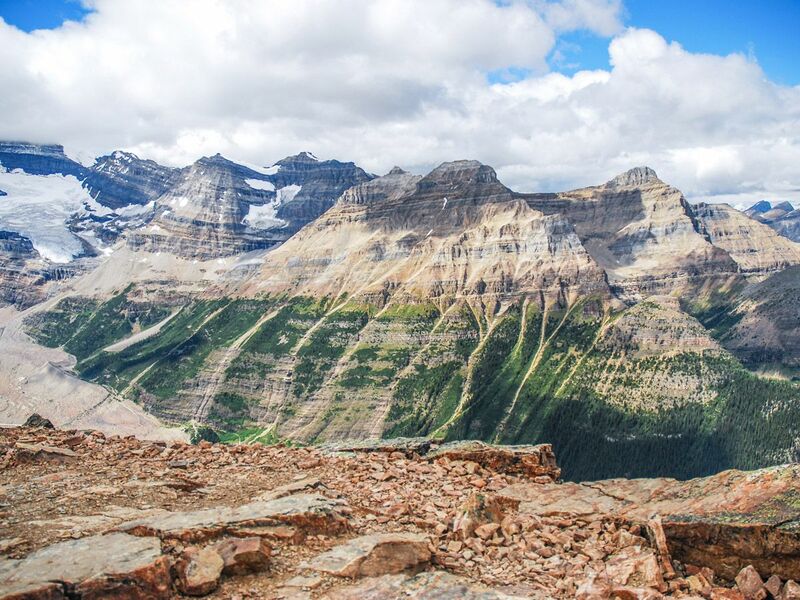 This trail is packed with incredible views of the lake, stunning scenery and nearby glaciers. 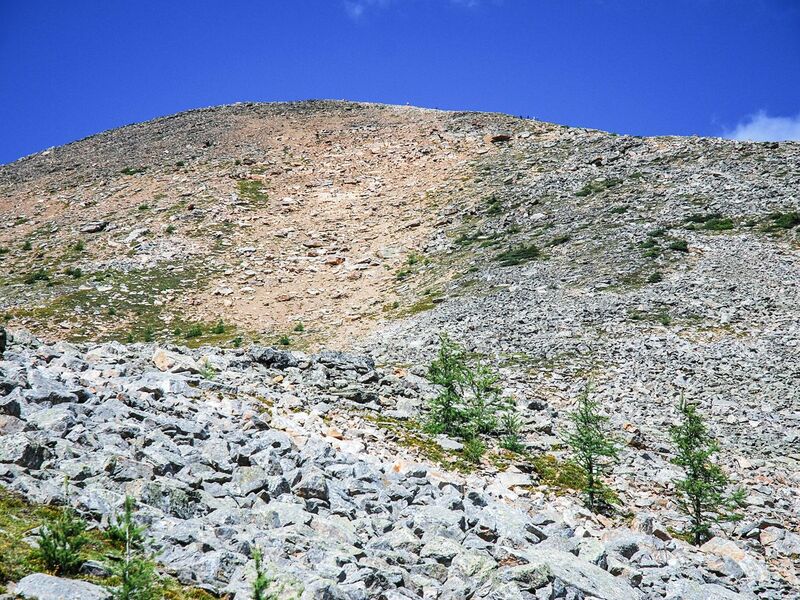 Although the hike is short, it rises quickly on a challenging incline – so be ready! Drive up the hill towards Chateau Lake Louise and park in one of the lots to the left of the Chateau. PARKING IS LIMITED and is often full by 8am. 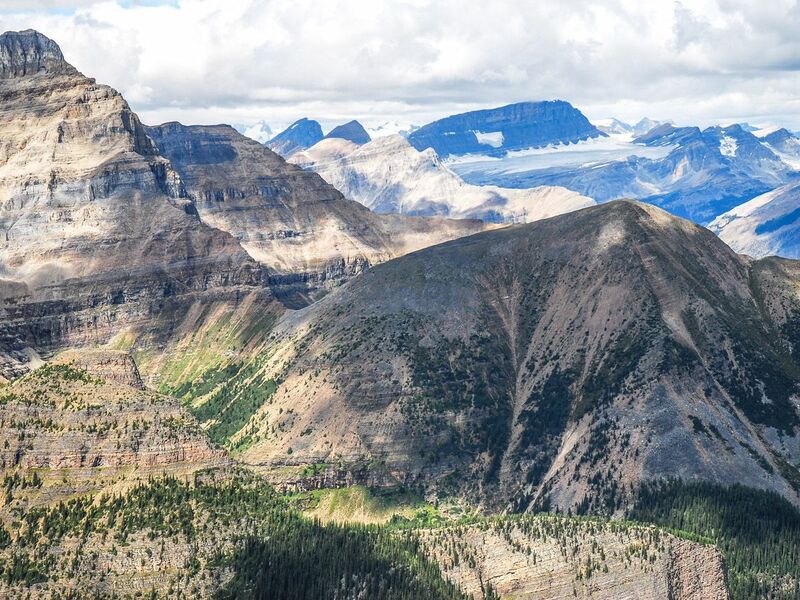 Parks Canada offers shuttles from the Lake Louise Overflow Parking Lot. 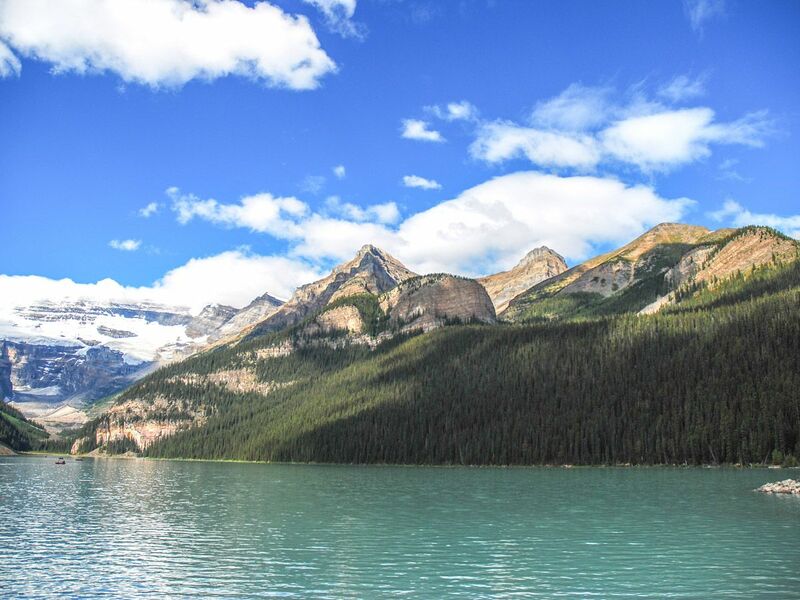 Start in the Lake Louise parking lot and head to the left of the lake, towards the canoe rental. Follow the signs indicating “Saddleback” into the forest – you will pass the Saddleback on the way to Mount Fairview. Here, the trail is well defined, rising quickly through the forest. At this point, there are limited sights to take in and after roughly 2.0km you will be given a choice of an easy or steep route. We recommend ascending up the steep route and returning via the easy route, however the difference is minimal. You do get slightly better views on the easier route. The path will start to emerge from the trees in another 0.8km (2.8km). 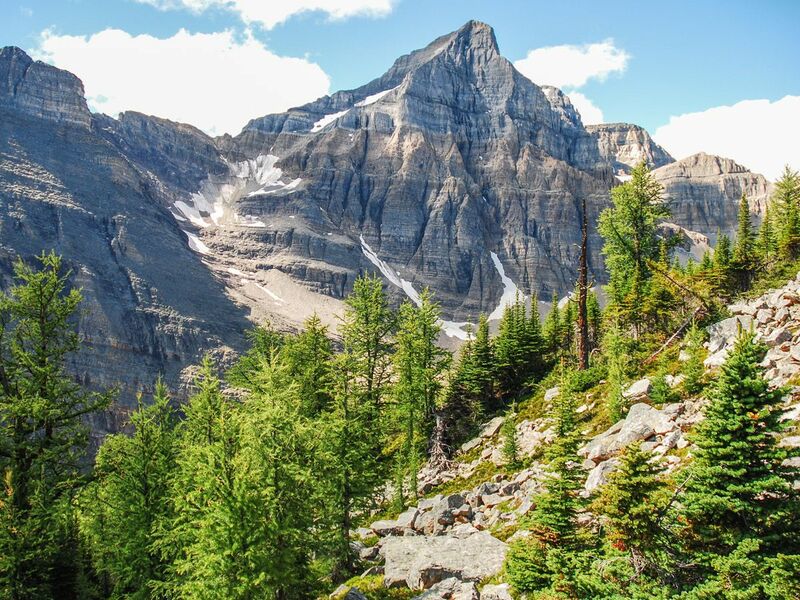 At this point you will have already gained approximately 475m of elevation and the trail will braid into many paths, some more direct than others. 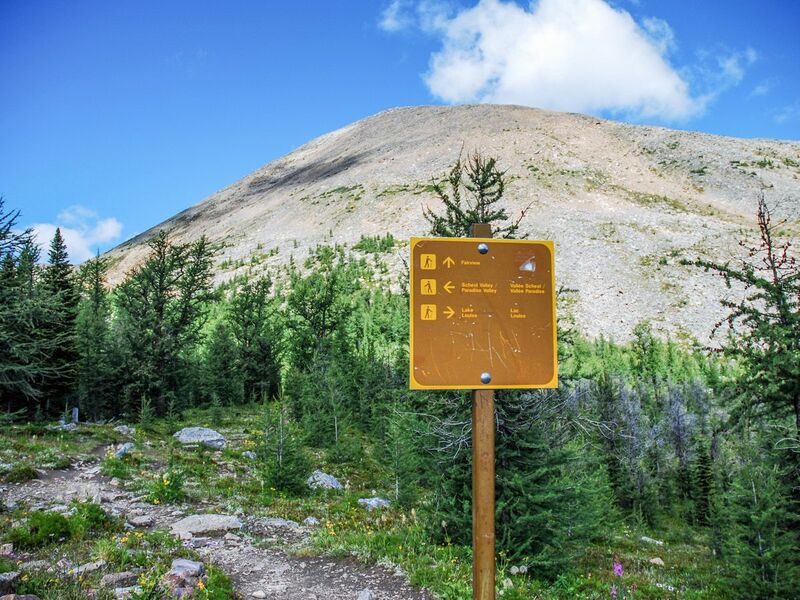 Please follow Parks Canada advice, and stay on the switchback trail to prevent erosion. 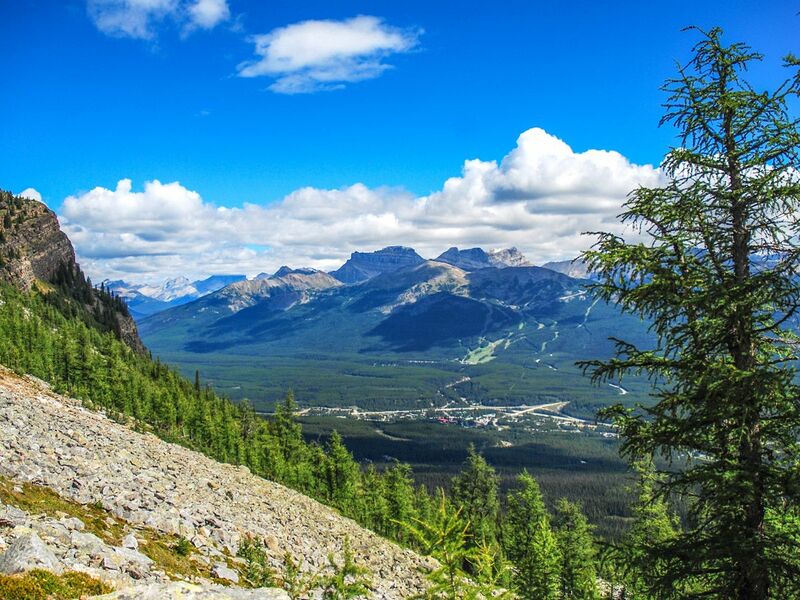 At 3.4km (585m of elevation gain) you will reach “Saddleback”, and there is a sign indicating the entry to Paradise Valley (here you can link up with the trip to Lake Annette or Giant Steps). 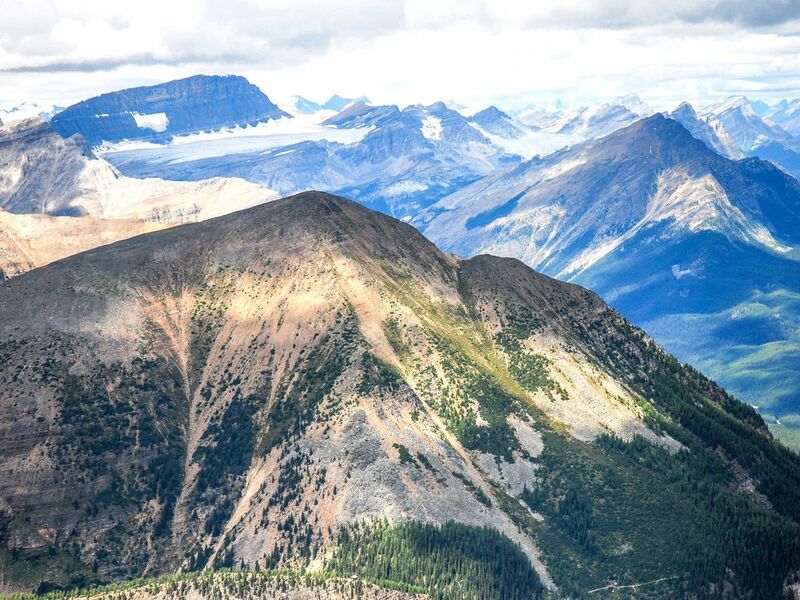 From this point, opt to travel up Mount Saddle to your left for great views of Paradise Valley and Mount Temple, or you can head right and begin the 400m ascent towards Mount Fairview. The path up Fairview is a well-defined switchback, and the more direct routes are from those descending, going off-trail. Over the next 1.4km you will gain an additional 370m of elevation, which will feel like more due to the quick rise. 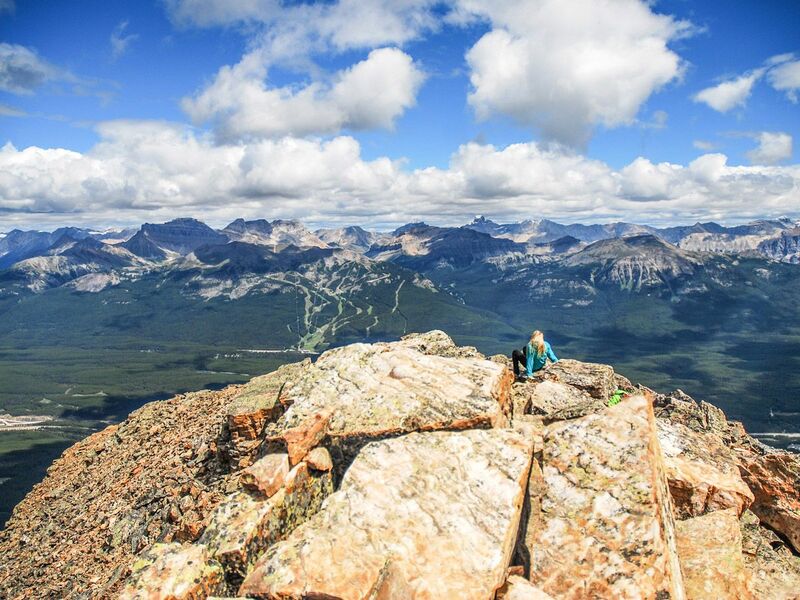 Once reaching the summit, bask in the truly astounding view. 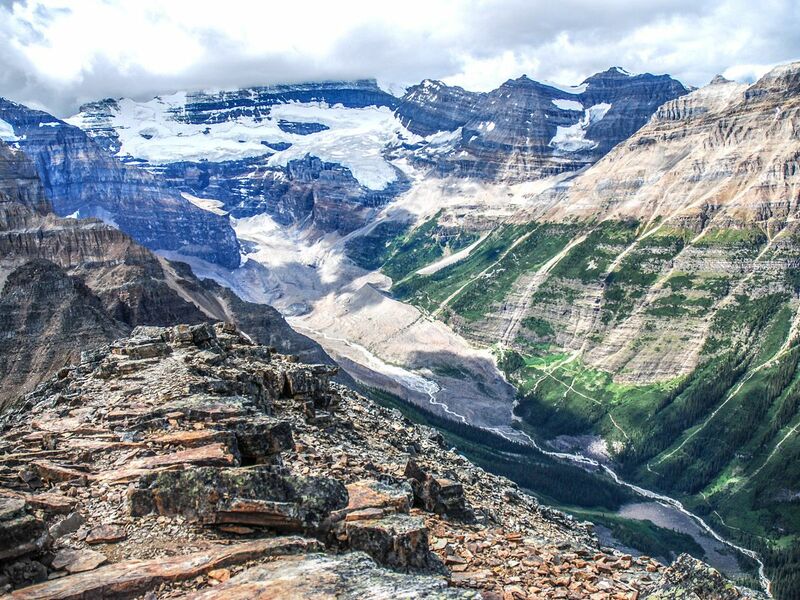 Directly 1.0km below is Lake Louise, with the trail to the Plain of Six Glaciers clear and the Beehives above. Directly across is Mount St. Piran, overshadowed by Mount Niblock, and to your left is a cluster of glaciers and peaks. Finally, behind is Mount Temple. Even on a cold blustery day, one could spend an hour or more just looking around, taking in the many magnificent sights. Be careful to return the way you came, as there is no hiking route in any other direction. Although it may look possible, there are dangerous cliffs that prevent descent. Once returning to Lake Louise, head straight to the Chateau’s famous Lakeview Lounge and enjoy a drink as a reward – we suggest a Cucumber Collins. 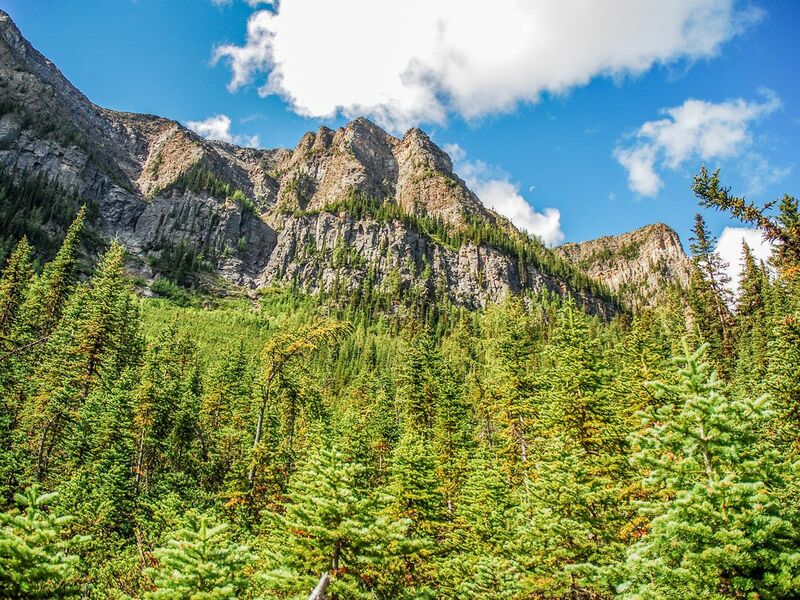 Start your hike early in summer. 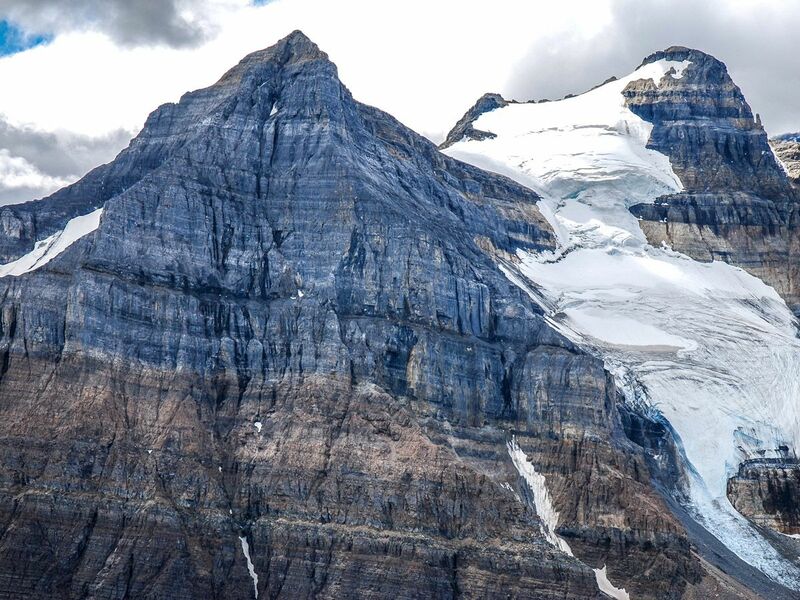 We recommend being parked at the Lake Louise parking lot no later than 9am, and if possible, at 8.30am. The deck at Deer Lodge is usually a much quieter location to enjoy a snack or drink after the hike, especially if you arrived after 9am, as you are probably parked near the Lodge anyways. If you forget your snacks, stop at Laggan’s in Lake Louise Village for fresh baked items. For long days, a pizza bagel provides great energy!